Vibrant colors! 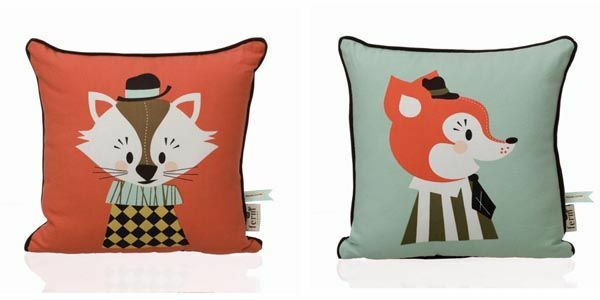 Whimsical prints! The World of ittikid is so playful and fun, I fell in love with them the moment I laid eyes on them. Filled with hip Scandinavian brands like Smafolk, Maxomorra, Duns Sweden, and Sture&Lisa, their stylish duds are sure to make you smile. I knew I had to find out more about this cool shop, so I sat down with the wonderfully creative Melanie Miller for a virtual cuppa coffee and a chat! MODERN KIDDO: Hey Melanie! Thanks so much for sitting down with us. I have to tell you how much I love ittikid! You have the best collection of unique and colorful clothing. How did ittikid come to be? Do you have a personal connection to Scandinavia or are you simply a fan? MELANIE: Believe it or not, ittikid just kind of happened. 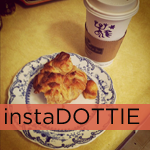 I became a stay at home mom after moving from LA to Sonoma County. On the hunt to find some fun new clothes for my little guy, I became obsessed with Scandinavian kids clothes. 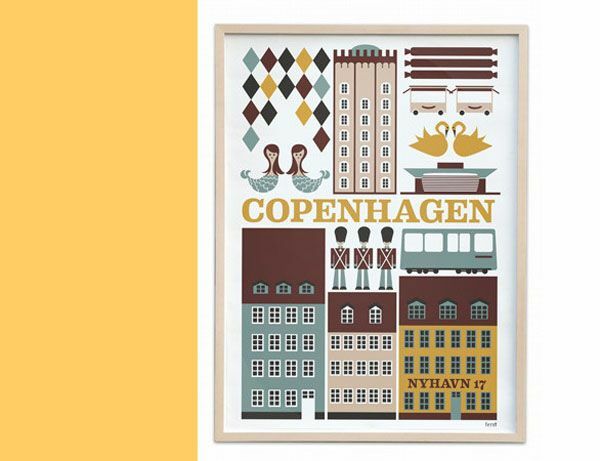 Having been born in Denmark and spending my childhood there, I was completely nostalgic about the prints, patterns, and body styles they offered. I was finding all this great stuff online, but I could not find them anywhere in the US. I knew immediately that I needed to change that. I booked a ticket to Denmark, and six months later my glory moment came. 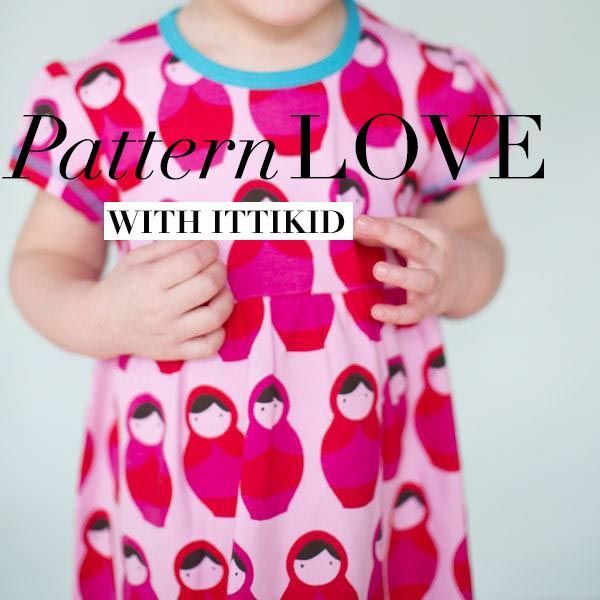 Ittikid launched, and I got to share my love for Scandinavian children’s fashion with kids and families across the US. 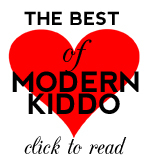 MODERN KIDDO: AMAZING!! I love that you saw a need and decided to do something about it. So fantastic. What were you doing before you started ittikid? MELANIE: Well, before ittikid, I had yolk, a modern lifestyle and furniture store in the Silverlake Neighborhood of Los Angeles. 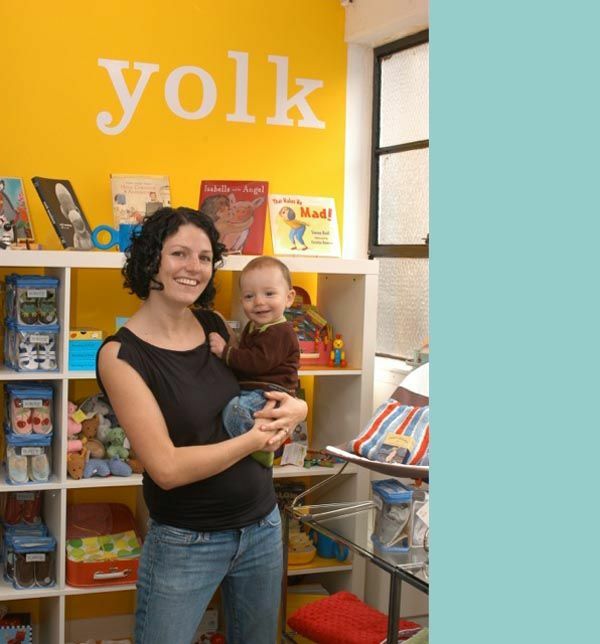 Yolk was my first baby, and my introduction to sharing my style with the world. 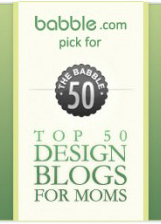 In the beginning, my focus was on showcasing up-and-coming product and furniture designers, artists, and illustrators. Then, my son Ollie was born a year and a half after opening my shop. He was a shop baby, and spent much of his first year living at the store. Naturally, after having a real baby, my focus began to shift, and I became fascinated with the world of all things baby and kid. By the time I sold the store two years later, half of it was dedicated to modern kids furniture, bedding, toys, books, and clothes. It was the beginning of my transition into the fabulous world of all things baby and kid! 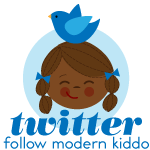 MODERN KIDDO: Speaking of, how many kiddos do you have ? MELANIE: My two little dudes, Ollie and Gus, are just about to turn 5 and 9. They have grown up as my ittikids. 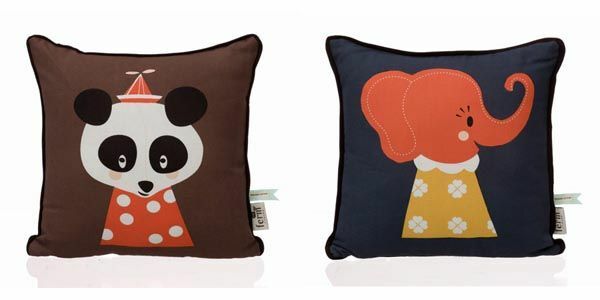 They both love the fun and colorful prints and are partial to ittikid brands because they are so comfortable and soft. They love to pick out their own prints and patterns, and I often have to hide my deliveries to unpack when they are not around so they don’t go bonkers and devour my inventory! I absolutely love when they come downstairs ready to go in a blue and yellow velour striped seventies style pantsuit or the like. We literally move clothes from one drawer to the next, and then on to cousins and friends. It is kind of amazing that three or four kids through, they are still being passed on to more. 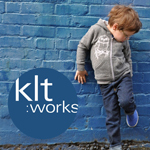 MODERN KIDDO: The clothes you select for your shop are SO vibrant and fun. 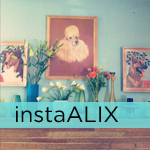 Where do you find most of your inspiration from?? MELANIE: Well, I am a big collector of vintage, for the kitchen and for kids. I can’t help myself when it comes to retro baby and kids clothes, textiles, wallpaper, illustrations, and children’s books. I am a Saturday morning “garage sailer” and the crazy lady who stands in line for estate sales on Friday mornings (an hour before they open!). I have to say that I am also obsessed with Pinterest. My boards are overflowing with things I love and covet. I love browsing through boards when I need a little a little inspiration to get me started. 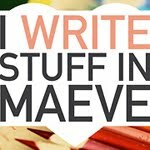 I have found so many great blogs and resources that I would have never stumbled upon otherwise. MODERN KIDDO: When you’re not taking over the world with ittikid, what do you and your family like to do? MELANIE: Our favorite family thing to do? Hop in the car and take a good, fun, adventurous road trip! We only get to do this once or twice a year, and the reality is, we live in the Country. We have goats, cows, a chocolate lab, and there are always a million chores to do. We garden, harvest, can, preserve, and bake together. We ride bikes, tromp through the woods, build things, and have some seriously fun “run through the sprinkler” sessions. We have friends and their families up to split firewood for the winter. All the kids run wild for the day, and we always end it with a big BBQ, bonfire, and s’mores. A big departure from our days in Los Angeles and San Francisco, but we love it in the country! MODERN KIDDO: Ahhh, that sounds like heaven! OK, last questions. Something fun….if we were to pop by the ittikid offices, what would we find playing on your playlist? MELANIE: Oooh, well, I am a Pandora junkie… I shuffle my playlists and let it go! I am a mixed bag. A few things you might hear: The Pixies, Betty Davis, Peter Bjorn and John, The Cure, The Buzzcocks, Blur, Albert Hammond Jr., and maybe even a little AC/DC on Friday afternoon. MODERN KIDDO: Aw yeah! Melanie you are my kinda gal! Thank you sooo very much for sitting down with me. We love you and your company! 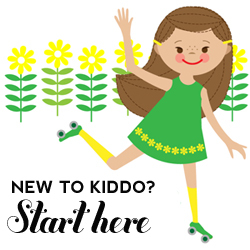 Friends, stay tuned this afternoon for a fantastic giveaway from our friends at ittikid! I just LOVE the fabrics she uses! I wish she made stuff in adult sizes! Great fabric and love the colors!